SAN RAMON, Calif., August 22, 2018 – ​​​How many minutes of meditation do we need to improve our cognitive abilities? People may not need to climb to a mountain cave or live in a monastery and dedicate their life to emptying their mind. Research has shown that 10 minutes of meditation improves an individual’s ability to concentrate. The study showed improvement even if meditators were beginners. For many, the stresses of work and life (particularly those related to finances) create a state of perpetual anxiety. Major financial challenges like overwhelming debt can diminish resources and increase hopelessness. Financial Education Benefits Center (FEBC), a member benefits company specializing in health and financial wellness, offers a variety of benefits that can help members focus on improving their physical and mental health. The subjects of the study were blindfolded and listened to a recording that focused on mindfulness-based stress reduction techniques, including breathing awareness exercises. This group was then given cognitive tests and performed significantly higher than a control group that spent 10 minutes listening to a recording unrelated to meditation. They asked participants to take a personality quiz and found that participants suffering from neuroticism (a personality trait defined by high levels of negative feelings that result in moodiness and isolation) did not see the same increases in focus and concentration. 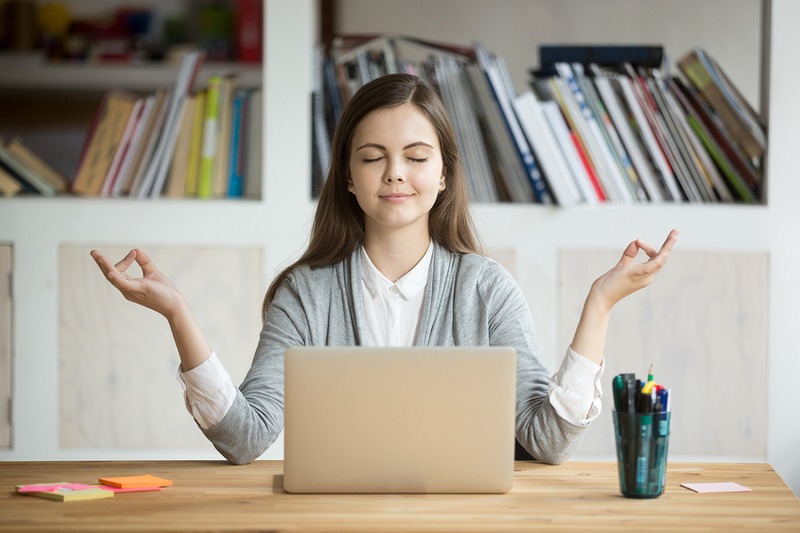 The study concluded that more research was needed to see if increased meditation caused increased levels of focus and increased overall health and wellness. It's interesting to find out that you only need a few minutes of slowing down your body and mind to enhance brain function. FEBC has a variety of benefits available to its members — at all plan levels — to provide health and wellness resources. Members can speak with health professionals about physical symptoms through a few different telehealth benefits. The telehealth benefits might assist FEBC members in finding help for mental health concerns. A pharmacy discount can also be used at participating locations to obtain prescribed medicine. FEBC members also have access to numerous other wellness benefits that could be helpful. It’s important to note that FEBC benefits are not insurance and are not intended to replace insurance.